Saturdays, Tuesdays, and Thursdays at 12:15 p.m. to 1:40 p.m., and Wednesdays at 6:00 p.m. to 7:25 p.m. Love-offering donation. Please bring a yoga mat, towel, or blanket. 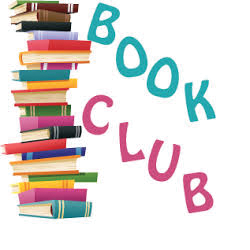 Come see what book we are reading this month. Discussion on various books, a new book each month. Come and see what we are discussing. Discover a new book or an old favorite. We are currently studying from the book, "The Resurrection of the Christ Within," by Paramahansa Yogananda. It's a wonderful way to delve into the true meaning of the words that were spoken by Jesus. Participants of the class have asked that we continue studying the book beyond the original 6 weeks we had planned for. THIS CLASS HAS BEEN PUT ON HOLD FOR A WHILE. CHECK BACK AND SEE WHEN IT STARTS BACK UP AGAIN.